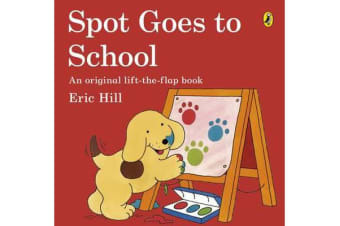 Spot’s first day at school turns out to be an exciting adventure as he and his friends take their first steps into the world of learning. This book is the perfect tool for parents readying themselves and their children for the concept of school, and all the fun that can be had there. Young children can learn along with everyone’s favourite puppy, Spot, and his friends. This classic Spot story is re-issued in a larger format.